There are several ways to add your syllabus to Laulima, each has its own level of difficultness. 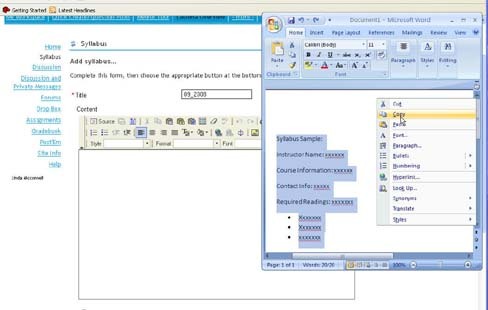 One can create multiple web pages based on syllabus sections, upload to Resources and then use the "Redirect" feature within the Syllabus tool to link to the web page in Resources (view Tutorial Adding your Syllabus via linking to the Syllabus Tool) or by a simple and fast copy/paste method which this tutorial illustrates. Prior to beginning this tutorial you should already have your Syllabus document completed and saved to the computer. 1. 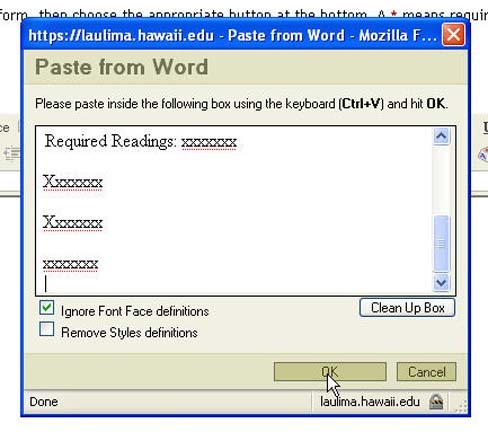 Add the Syllabus Tool: Login to Laulima (https://laulima.hawaii.edu) and add the Syllabus Tool (go to Site Info, click on Edit Tools, check the box for Syllabus, click Add, then Finish). 2. 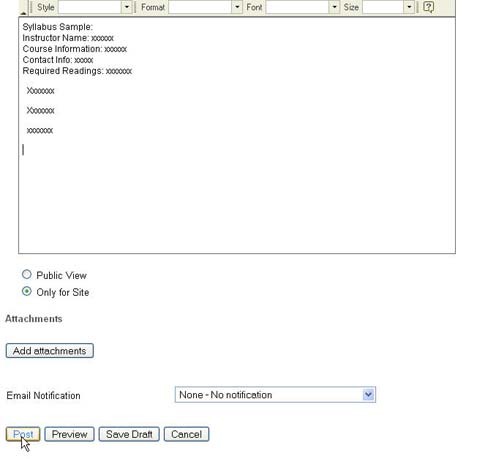 Once the tool is added click on "Syllabus" in the Course Menu, and click "Create/Edit"
4. Enter a title for the Syllabus, this could be the date of the Syllabus posting OR something more specific. Minimize the browser screen or make it smaller so that you can click and open your syllabus document file. 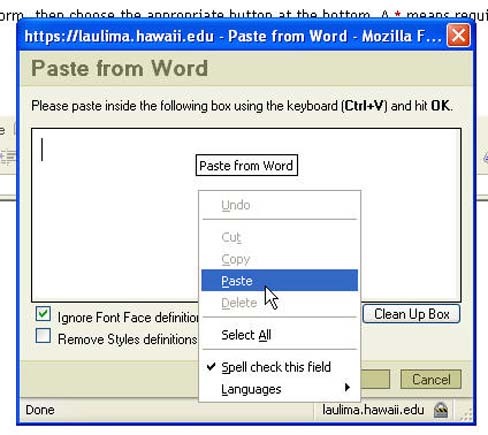 Select either Edit from the Word menu, select All then Copy OR do a Right + click with the mouse, select all and copy text from the document. Return back to the Syllabus in Laulima.